Christmas week and I always seem to have more jobs left to do than there are days left! However, yesterday I turned my back on all those things and went out for a kayak on the bay. No matter how the rest of the week turns out this will put the shine on everything else! 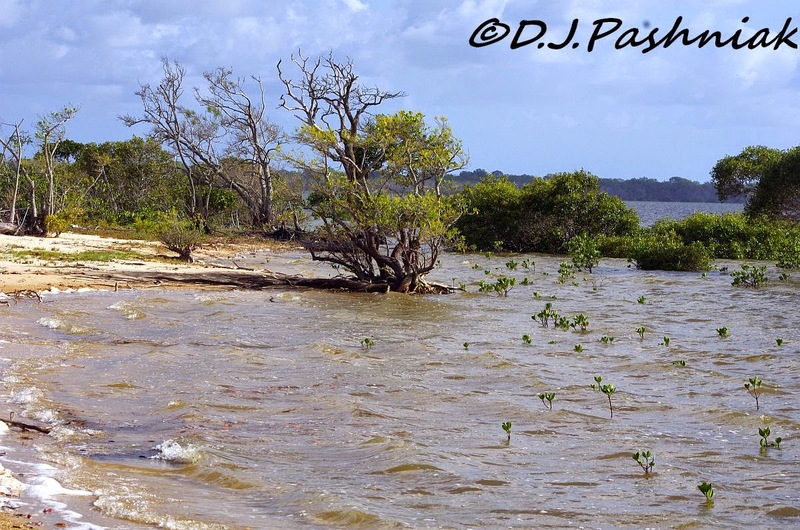 and this is looking along the sand spit north.The water is looking very brown because we have had enough rain to break our local drought and this has colored the waters of the Bay. I found that I couldn't hold the camera still enough to get a focus on any birds in the choppy conditions so pulled up onto the sand to see if there were any birds that had stayed around. Crested Pigeons are fairly common around here but they don't often pose so perfectly up in the trees. They fly with a distinct whistle of their wings so even if you don't see them clearly you can tell that is what you have glimpsed. When I paddled back to the car park and loaded my kayak on the roof racks some other people had come down to also enjoy the water. They had two "craft" loaded on a trailer. One was a paddle board and the other was a rather chunky looking kayak. It was made by the Hobie company and was the latest in fishing kayaks. 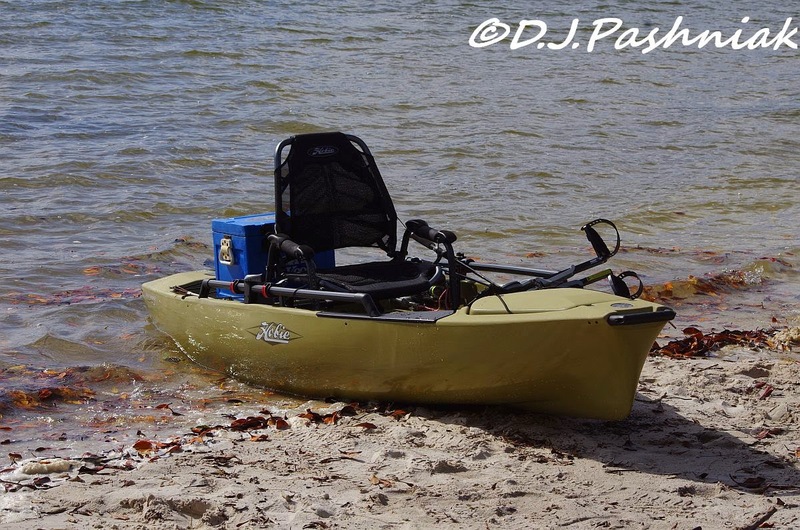 It certainly made kayaking look very comfortable and even luxurious and would be extremely stable for any fishing enterprise. the oystercatchers are such cool birds, but those crested pigeons are fantastic! I'm thinking that if those Pied Oystercatchers are as good protective parents as our own European Oystercatcher you have done well to see and photograph the young one. Your pictures of the Crested Pigeons are just spot-on and they do seem to be in immaculate condition at the moment. I don't think that kayak would suit you Mick - all that extra gear would slow you down and make the craft too visible? Beautiful Mick, I am glad you enjoyed your day. Those crested pigeons are lovely, we have them over here and they are always a joy to see. Hello Mick, beautiful scenery. So glad the drought is broken.. I love the Crested Pigeon and the Oystercatcher. Great post and photos.. Merry Christmas to you and your family.. Such gorgeous scenery and shots. Have a magical Christmas. 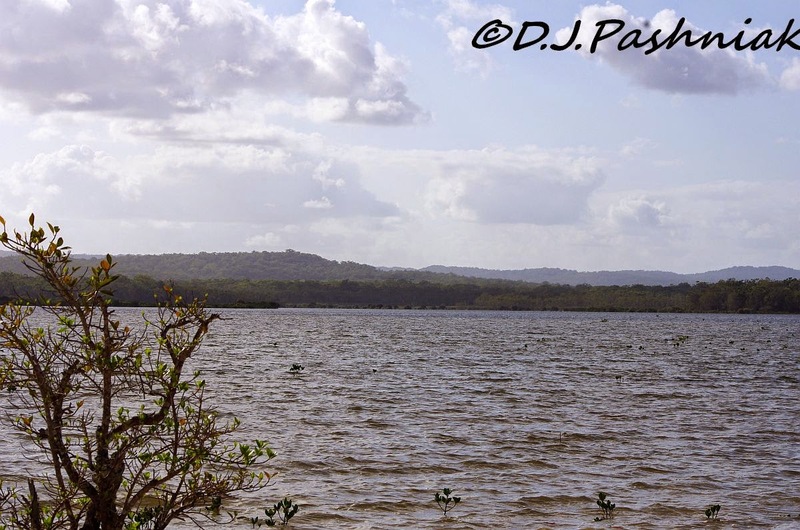 Love those Oystercatchers and such lovely scenes. Have a Blessed Christmas! So nice! Beautiful scenery! Merry Christmas! Another wonderful post... Merry Christmas! I've never seen anything like those crested pigeons! Quite amazing. I love oystercatchers. 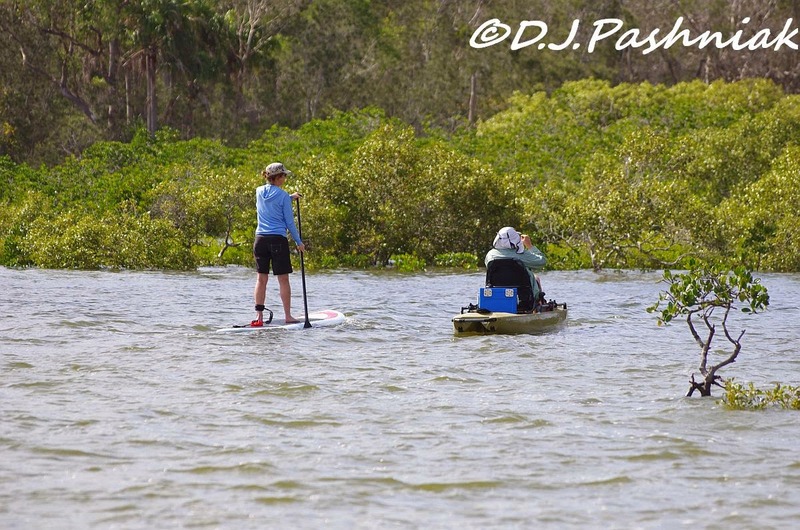 We are starting to see some of those standup paddle boarders on both coasts. The Crested Pigeons are beautiful. I like the little boat too. In spite of the wind, you got some wonderful photos. I hope you're enjoying a lovely Christmas! The crested pigeons are very neat looking. I've never seen them in my neck of the woods. Lovely selection of birds. Have a great Christmas day tomorrow. The crested pigeons are stunning, don't have them here. Always nice to find that the birds have some young - means that at least some parts of the world are still working properly! Brilliant images of the Pigeons and love the young Oystercatcher! Not easy to get close enough to Oystercatchers with young to get a shot that good! Hope you had a Happy Christmas, Mick and that your New Year will be peaceful and full of good things! I love that comfy chair-equipped kayak! I've never seen one like that before. 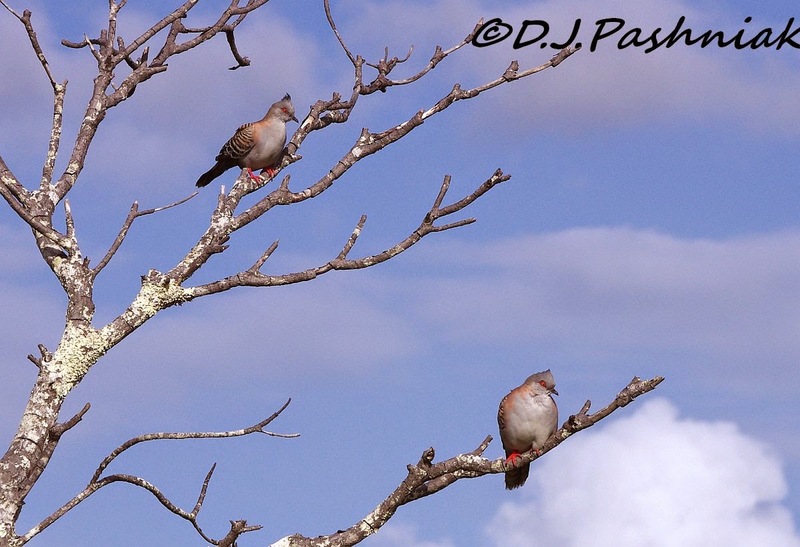 I also enjoyed seeing the crested pigeons. They may be common for you, but I'd never seen those before either. Hello Mick, wishing you a wonderful 2015. 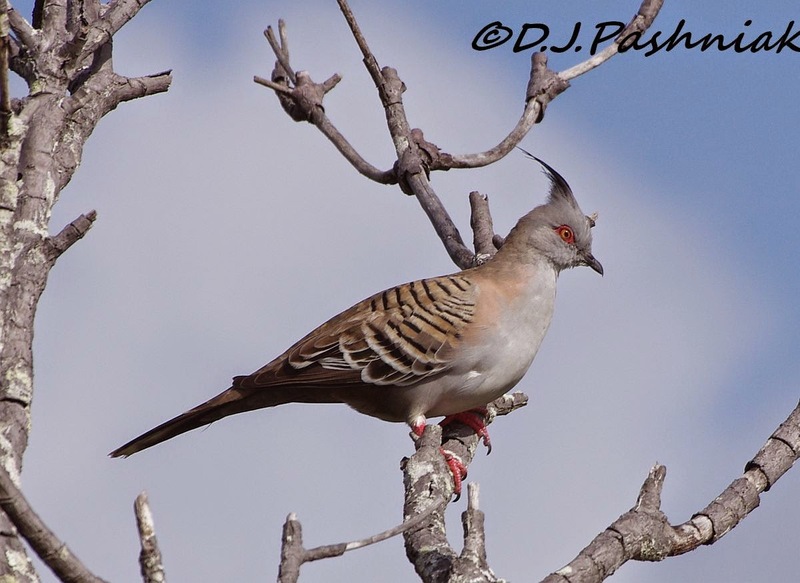 Love the photos.. beautiful images of the Crested Pigeon... I successfully raised one in need during 2014, it's out and about now, still visits the yard, and still is as delightful as ever. 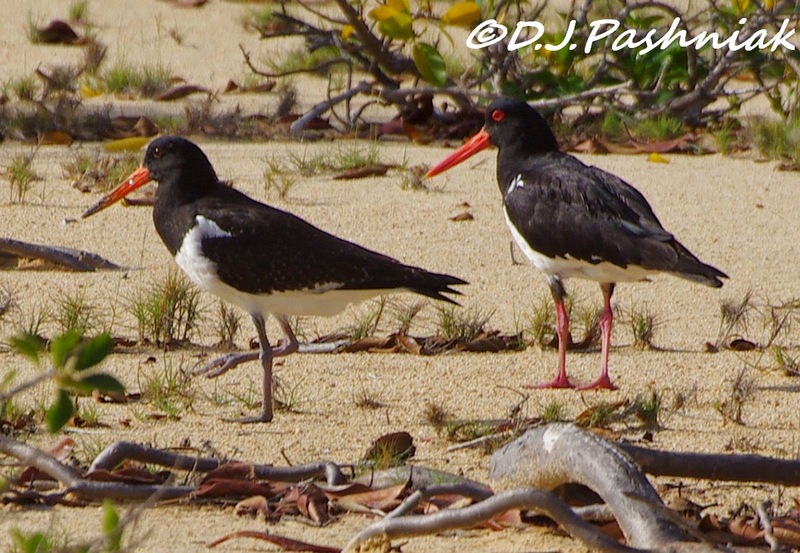 The Pied Oystercatchers are a treat. It really is grand when discovering a family have successfully reared a youngster. I have that experience of elation with my Purple Swamphens. I know they're not really mine, but they feel like they are... they have been visiting me since 2008... and I love them deeply, plus they always make me feel very special. I think I could feel the wind and the sea air as I read and looked at your photos and read your story. Nice to be back, I was not well, hopefully will do better this year with health, blogging and visiting. Coming back shows me just how much I enjoy visiting Blogs like yours.